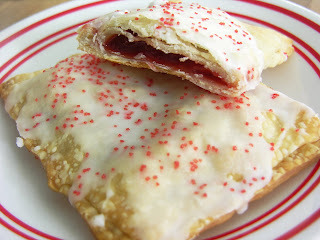 I found a recipe for homemade Pop-Tarts on another awesome food blog and decided to give it a shot. They’re super quick and easy to make, especially if you use store-bought pie crust. 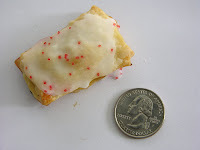 I ate one just after it came out of the oven—well, devoured is more appropriate—and I thought that had to be the pinnacle of Pop-Tart goodness, despite the fact that I burned my mouth on the filling. 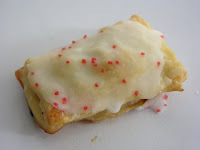 But believe it or not, they’re even better, or I should say more like a "real" Pop-Tart, the next day. Check out the recipe over at Bake Me More. Everything tastes better when it's wee tiny.